Retreat for 8-days and 7-nights exploring salsa dance, vintage convertible tours through historic Havana, Cuban cigar rolling and horseback riding in the organic farmlands of Viñales and an unforgettable heart-opening experience to connect with the people & culture of Cuba. Thank you. You will receive an email shortly with all Cuba Retreat details. Make sure to check your spam/promotional folder in case it goes missing. We are excited to share this with you and hope you are able to join! Goodie bags from our Cuba Retreat sponsors including Kulae Yoga, Onzie, Don't Mess with Ganesh, Bohemian Island, Balanced Guru & more! 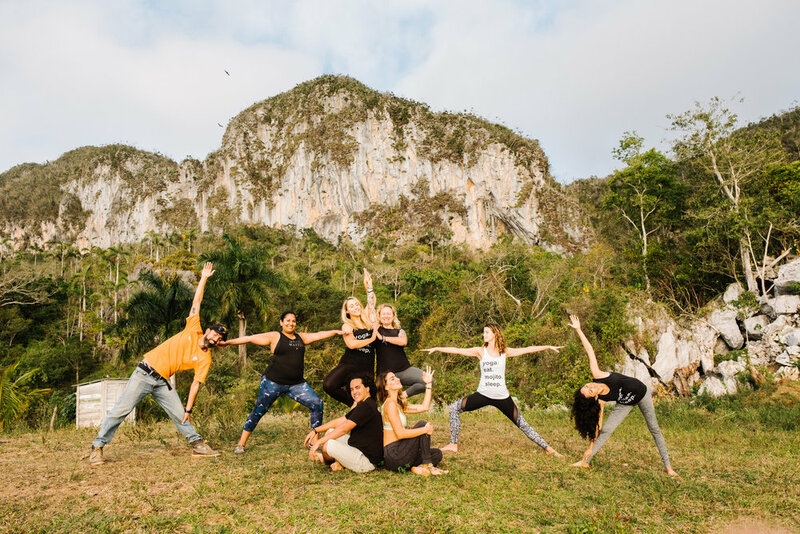 The purpose of this retreat is to practice Yoga with a loving community, connect with the people of Cuba and understand the Yoga practice that extends far off the mat. Our mission of practicing poses, breath and mindfulness on the mat, is to share this awareness beyond just the yoga shala. Daily intentions, mantras and offerings will be encouraged to support your Yoga practice on & off the mat. In collaboration with the Cuban Yoga community, we will practice Yoga with Eduardo Pimentel, the father of Yoga in Cuba, to learn about the history of Yoga in Cuba and have the opportunity to connect with Eduardo and his students. Expect lots of time to rest and play, you’ll be given the opportunity to participate in cultural offerings like salsa dancing, cuban cigar rolling, horseback riding & vintage convertible rides. You'll also the option to sit back and relax, completely designing the retreat week you desire. This retreat provides an authentic experience to connect with the true island lifestyle. The island culture, organic food movement and white-sand beaches are a few reasons you may never want to leave Cuba, but what will end up capturing your heart is the people. The lesson to take from Cuba, is that of happiness with the present moment. The people are always laughing, dancing, making the most of every situation, and hopefully after a week retreat to Cuba, you will too! For travelers, yogis and adventurers who are seeking a unique experience to connect with the authentic culture & community of Cuba. Gather on the Yoga shala twice a day to practice Yoga Asana, Pranayama and Meditation. Hatha, Vinyasa, Restorative and Yin classes will be offered, tailored to all levels. Daily intentions, mantras and mindful gratitude practices will be offered each day on & off the mat. Share a day with the Cuban Yoga Association and Eduardo Pimentel, the father of Yoga in Cuba, to learn about the history of Yoga in Cuba and practice Yoga with Eduardo and his students. Discover the city of Havana, what it is and the history of what it was riding around in vintage convertibles. We'll have a group lunch in the city & catch sunset on the Malecon, which walls the entire city of Havana overlooking the ocean. Retreat overnight to Vinales, the organic farmlands of Cuba to get a true taste of Cuba’s organic food movement! Horseback ride through the farms, connect with local farmers, roll Cuban cigars and practice yoga on the mountain top. Nourish your soul with local handcrafted meals lovingly prepared by Mhai Yoga’s family staff. All meals are organic with pescatarian, vegetarian, vegan and gluten-free options. A $500 nonrefundable deposit is requested. Payment plans are available with monthly or bimonthly payments. Spaces are limited and first come, first serve. If traveling solo, we can pair individuals in triple or double occupancies. Final payments are due 60 days prior to retreat start. Prices listed are per person. Retreat to Cuba’s first ever Yoga retreat center on the beaches of Guanabo, Cuba and retreat yourself in the warm Cuban sun. The peaceful and secluded atmosphere of Guanabo is perfect for relaxation and rejuvenation for your mind, body and soul. Mhai Yoga is located only 30 minutes outside of Havana, affording you the opportunity to explore the city during the day or night and always having a peaceful space to come back to. Mhai Yoga only hires local staff, creating a close-nit family of loving & caring individuals. There is a common room, library, kitchen & outdoor Yoga shala available for our use. 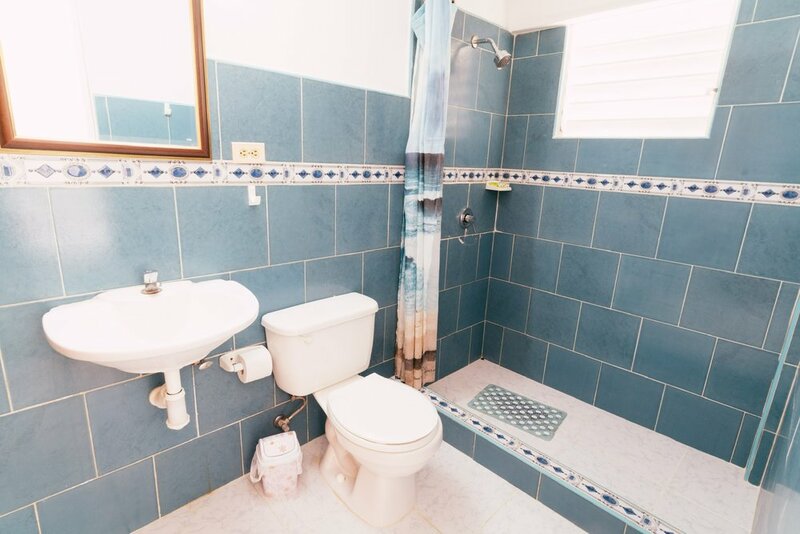 Each bedroom has air-conditioning, hot-water showers, closet space & a private bathroom. for more information, schedule a call to answer any questions and learn more! What is the nearest airport to the Mhai Yoga Retreat Center? Havana Jose Marti International Airport (HAV), Cuba. Flights are not included in the retreat week price. Roundtrip flights to/from the Havana airport are around $300-$500 USD. Do I need a Cuban Visa? Yes. For travelers departing from the United States, US airlines now offer the option to buy the Cuban tourist visa on the day of departure at the check-in counter or at the departure gate. Check the confirmation email from your airline to confirm this, as their policies are subject to change. Please allow some extra time at check-in if you plan to buy the Cuban tourist visa on your date of departure. Cuban Visas typically cost $50-$75 depending on the airline. There are plenty of yellow taxis waiting outside of the terminal to get you directly to the resort. Taxis are around $35 USD and only a 20 minute ride to the center. Is there Wifi at the retreat center? There is not wifi at the retreat center. However, we can arrange taxis to nearby "wifi parks" where you can log online. Do I need any vaccinations traveling to Cuba? There are no vaccines needed traveling to Cuba. Claro que si! Yes, we are happy to pair you up with others in a double or triple occupancy. Yes! 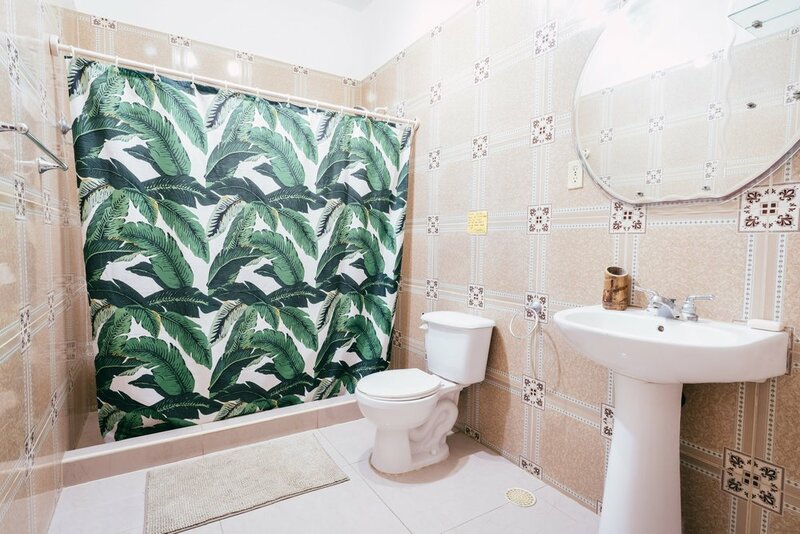 We have a Facebook group for all booked guests and aim to connect everyone prior to their travel into Cuba so you can arrange meet ups and share taxis. We know traveling to a foreign country can be intimidating so we are here to guide you along the way! We will provide you with a full confirmation email regarding travel & packing tips upon booking!